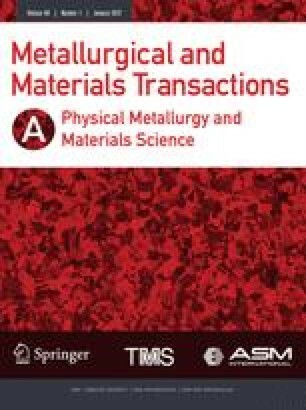 The changes in electrical conductivity of cast Al−Si alloys, in the range of 2 to 12.6 wt pct silicon due to strontium additions (0.03 wt pct) have been investigated and explained in terms of variations in microstructure. The strontium-containing alloys exhibited a higher conductivity than alloys with no strontium, and this conductivity difference increased as the silicon and magnesium contents were increased and the solidification rate was decreased. It has been demonstrated that this difference is due to changes in microstructural features of the eutectic silicon upon modification.